Are We Aiming for a Post Racial Society? 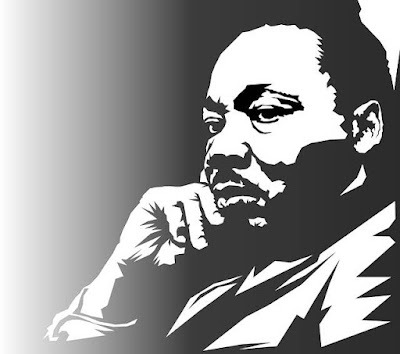 Dr. Martin Luther King Jr.'s likeness, words, and pretty much everything else about the man has been thoroughly co-opted to serve many activist-oriented agendas, some of which Dr. King surely would not have embraced. I suppose one could complain about that and angrily accuse those doing it of some sort of "cultural appropriation." Alternatively, one could recognize that it is almost always done out of respect, admiration, and love for a man who inspired and continues to inspire so many. Dr. King hoped for a society where people would be evaluated by "the content of their character" rather than "the color of their skin." It sounds like he was hoping we would eventually achieve a post-racial society where skin color no longer mattered with respect to how people were treated. This would seem to fit well into a social justice framework because it would mean that people were treated based on who they were in a holistic sense and not mistreated based on their race. In some respects, we seem to have gone in the opposite direction. We now consider race to be one of the most important considerations for judging others. And it isn't just the racists who are doing this; many of those eager to claim Dr. King for themselves are doing it too. From their perspective, anyone claiming to be "color blind" or "post-racial" is obviously a racist. We are told that we should celebrate race and multiculturalism. It seems like race is becoming a more important aspect of one's identity rather than a less important one. Am I mistaken to think that the world Dr. King envisioned was a "post-racial" one? Wouldn't he have liked the notion of race becoming irrelevant and people interacting with one another based on ability, personality, and character rather than race? Didn't he hope that race would become less relevant in terms of how people treated one another? To be clear, I am not suggesting that we have achieved racial equality. We haven't. Far more work is needed. I think it would be a mistake to attempt to claim that we are now living in a post-racial society. We are not. Race remains relevant, and it cannot be ignored. The question I am trying to raise here is whether we are still working toward the goal of making race less relevant or whether we have abandoned this particular goal and replaced it with efforts to make racial and cultural differences even more important.